We were recently told that the LG V10 should be getting its Android 6.0 this week, and it looks like LG and T-Mobile have indeed started pushing the update. 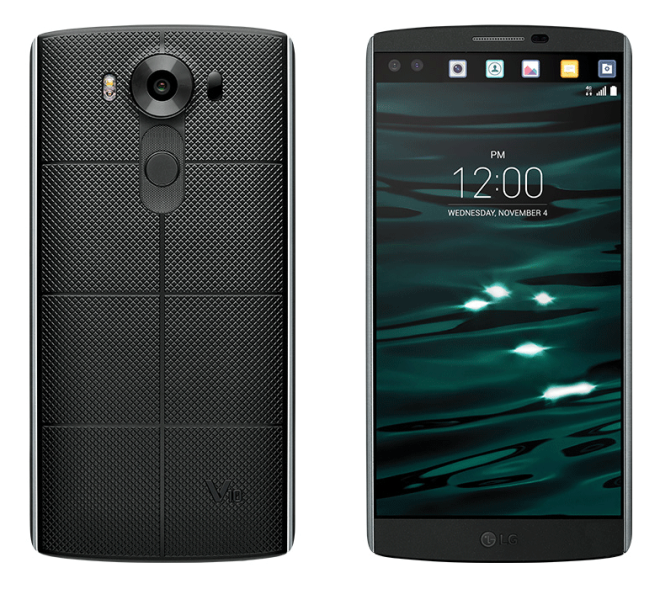 Some T-Mobile LG V10 owners are reporting that they’ve gotten Android 6.0 on their devices. Several users have installed Marshmallow using LG Bridge, an app for PC and Mac that you can use to manage and update your phone, but some — like TmoNews reader Mick — say that they’ve gotten it over the air, too. As for the update itself, it bumps the LG V10 to Android 6.0 (software version H90120e) and includes the March Android security patches. T-Mobile hasn’t officially announced the rollout yet, so there’s no changelog on T-Mo’s support page. Some V10 owners that have gotten the update say that the fingerprint reader is working faster after installing the Android 6.0 update. With the LG G4 having gotten its Android 6.0 update and the LG G5 now available, some LG V10 owners may have been feeling left out without any shiny new stuff to play with. Now they’ve got some fresh new software to enjoy, too. If you’ve got an LG V10 and haven’t yet gotten Marshmallow, you can try to get it by installing LG Bridge on your PC/Mac or checking manually on your phone by going into Settings > About Phone > Software updates. Yup, mine updated last night. If it only came with pen like my Note. This phone has potential to be great! Got my update last night and ready to install this morning. Did you get OTA update? If so… were you on Wi-Fi or did it update over the T-mobile network? Thanks in advance for your reply. Any info on when the G3 might receive marshmallow? Been great so far! Phone feels snappier and faster. Fingerprint is a lot faster now. It’s like a night and day difference. Also other apps are now able to use fingerprint unlocking which is awesome. Where’s my It’s Happening gif guy? The update fixed mine. It works perfectly now. Nice, I installed LG Bridge. 6.0 is there. I’m rooted on 5.1.1, and there is no way atm to gain unlock and root on 6.0. I’ll need to wait for a rooted stock version. UGH! I hope they keep making the V line series of phone and also with those who have the update does it support video calling? Yes it is supposed too saw something on my phone earlier about it. Fixed mine too. It’s almost too sensitive now. Updated over Bridge last night. So far, no problems. Everything is working perfectly, and my one issue (fingerprint scanner) is working perfectly. Forget the OTA, I downloaded bridge, install went flawlessly. Downloaded last night through LG Bridge. The entire phone seems smoother now and zero lag. Chrome doesn’t hang up when loading Web sites anymore and the fingerprint scanner is insanely fast and sensitive. The setup for fingerprints took about ten seconds instead of a couple minutes. Not sure about battery life yet. Seems about the same so far. 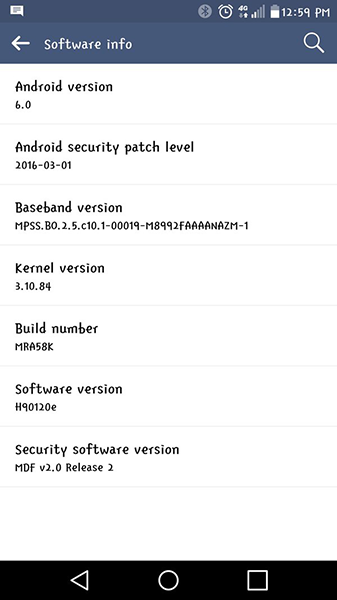 Also, the changelog on T-Mobile’s V10 information page states it’s Android 6.0.1. I got 6.0 through LG Bridge. Maybe a typo on T-Mobile’s part? I think it’s a typo. The rest of the world got 6.0. And the screenshots I’ve seen say 6.0. But with the latest security updates. Downloaded through LG Bridge and everything went smoothly except I had to clear out over 7 gb of space for the download. Have to agree with everyone that the phone is even smoother, seemingly more responsive and the fingerprint scanner much faster and more reliable. Also, if you care about the Hifi DAC, I believe that issues with that have been fixed. Before the update, the Hifi DAC did not work with Google Play Music unless I ran the user created fix app. After the update, the Hifi DAC works with Google Play fine, no user fix needed. I’m using a Beyerdynamic 250 ohms headset that does not get loud enough with the regular DAC, so I can really tell when the Hifi DAC is used. So the V10 is now pretty great for me. Don’t know about the battery life yet but with a spare battery and external charger, I can deal with subpar battery life. Downloaded through LG Bridge. Like others are saying, the fingerprint scanner is working like a charm. I’ve noticed the video calling dialer and VoLTE. I knew an update was coming soon because just like when my Google Nexus updates to the latest version, all of the Google apps update in a few days time. Has anyone here gotten this OTA yet? I tried to update with LG Bridge and it is not possible. LG Bridge message I got is “Your system is up to date”. LG Bridge no longer working. I got the update earlier today but battery was almost done so update failed ever since the update has been MIA. Tried everything even called to-mobile they promised id have it in 2 hours. What a load of crap that was. Now I’m trying every means necessary to get this update. I hear the battery life is amazing now. I am so sick of the terrible battery.